I enjoyed this story so much that I read it twice before reviewing. KA Tucker always delivers solid stories full of rich characters, complicated (but believable) situations, and just the right amount of drama. I like how Tucker took a concept that often turns into a stereotypical trope and made something that feels realistic and believable instead of stretching reality to fit the readers’ imaginations. I am rarely a fan of having more drama than necessary so I appreciate how Tucker handles it. Conflicts arise and people react in an understandable fashion and then they behave like adults instead of a petulant or overly-dramatic ignoramus. It’s so nice! One of my peeves is drama being stretched out longer than it needs to. Tucker doesn’t let drama overstay its welcome and I am grateful. Now that I’ve gotten that out of the way, let’s talk about Catherine and Brett. Catherine is a strong, independent, vulnerable twenty-something single mother. She lives with her daughter in a small town that knows has seen all of her dirty laundry and don’t have plans to let her forget any of it. Catherine works hard at a local diner and does the best she can to provide for her daughter with the help of some great friends. Brett is an all-star hockey darling with an Oscar-winning mother and a legion of fans. He is the passenger in a tragic car crash that Catherine happens upon one night. Catherine manages to save this burly man from a burning car and then she disappears from Brett’s life, hoping to remain anonymous in the aftermath of the miraculous rescue. 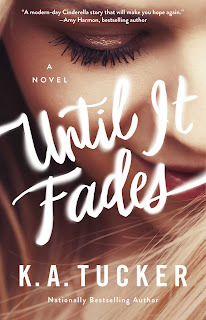 Until It Fades takes us through their lives after the accent with the occasional, totally not annoying, flashbacks to Catherine’s past and the scandal that rocked her town and life. The flashbacks slowly unravel a story everyone thinks they understand but we all know how stories get churned up through the gossip mill. Tucker does a great job of incorporating flashbacks at just the right time, never staying in the past longer than needed. 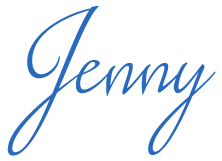 This is a great, solid, contemporary romance that will withstand the test of time. It’s heartwarming and keeps the reader drawn to the page. I highly suggest picking Until It Fades up along with any of KA Tucker’s other books.